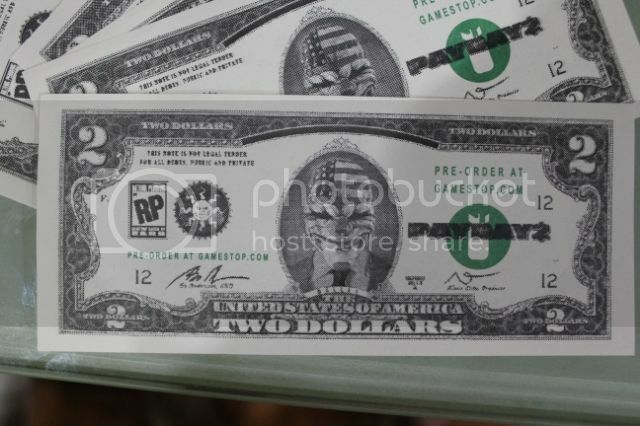 Cool promo items for PayDay 1 and 2! Recently played this game and got hooked immediately! I even wrote a blog some time back. 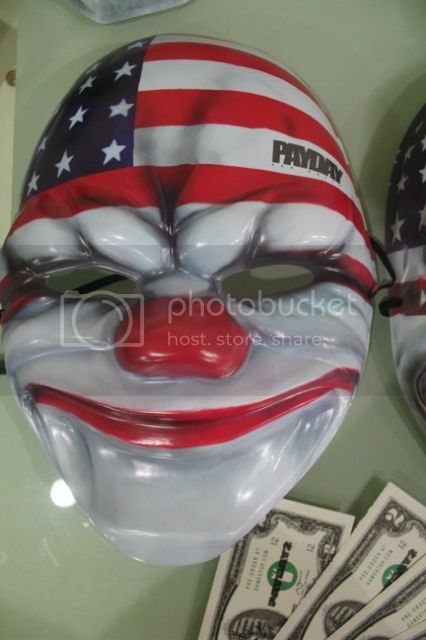 I have always have had a thing for masks so it was great to see some PayDay 2 Masks given out as promos for the sequel in the recent E3 2013. 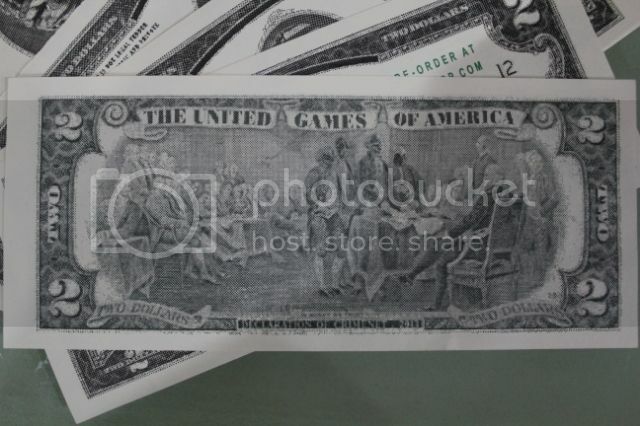 While hunting for these on eBay, I also came across another promo! 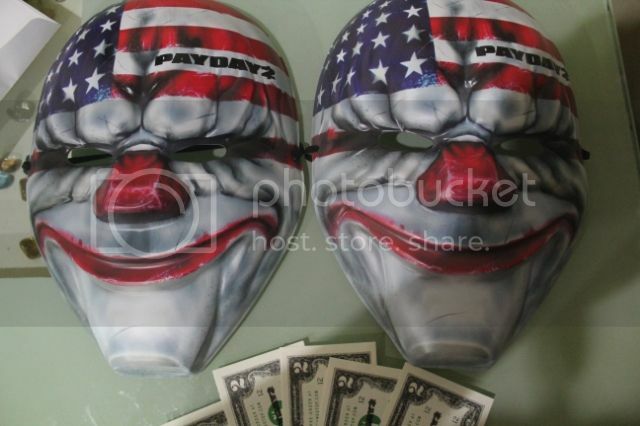 PayDay 1 Mask! If I remember correctly, this was from SDCC 2011. 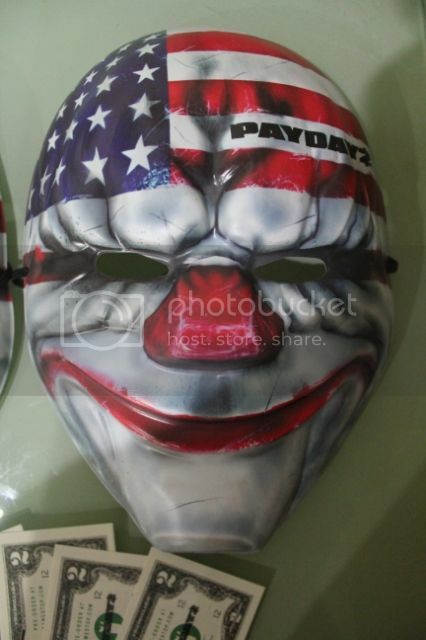 A more simpler version of the PayDay 2 Mask. Here's a comparison pic. 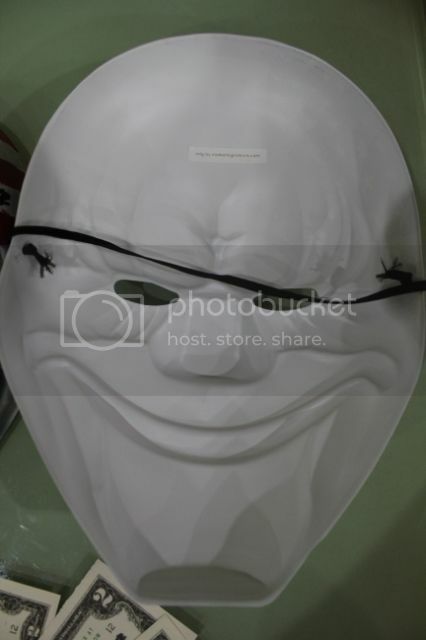 Masks are made of material slightly better than those you can find at children's theme parks. Not very flimsy but not very durable either. Thanks again to my friend who packed these very well. A recent remark by the friend about my fascination with masks got me thinking.. I have had this weird fascination with evil clowns and masks for as long as I remember. With Clowns and Jesters, that idea of covering your emotions to the world while keeping on a smiling face at all times was intriguing. You don't show your weakness nor do you show your confidence. A smiling face keeps the opponent guessing. Masks were similar in that aspect. 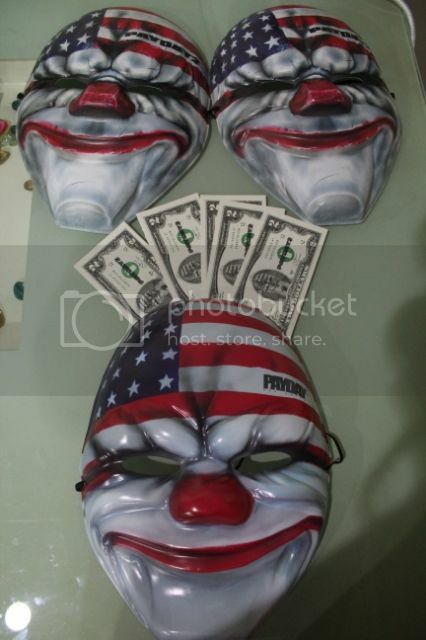 The fascination with masks did start from Jokers in fact, but took it to another level for me. 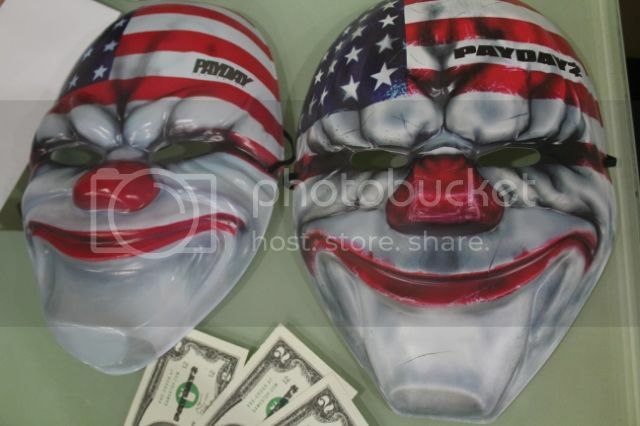 While the Smiley-Jokers were meant to mask people's emotions, masks in general were to cover their identities. Masks are used to cover who a person actually is, but it is this that brings out who a person really is.